​Since its inception in 1999, Aegean Airlines, a member of Star Alliance network, is the largest Greek carrier, providing full service, premium quality, short and medium haul services. The airline's fleet consists is currently comprised by 47 Airbus and 14 Bombardier Q series aircraft. In its 20-year history, Aegean Airlines, has strongly contributed to the development of tourism, both of Athens and the region, launching new destinations and increasing the market volume. As an outcome of their efforts, in 2018 they transferred 14 million passengers, 6% more passengers than in 2017. Aegean Airlines, has been honored with the Skytrax World Airline award, as the best European regional airline in 2018. This was the 9th time Aegean Airlines received this award. Among other distinctions, Aegean Airlines, captured 5th place, for the second consecutive year, in the world's 20 best airlines list (outside the U.S.) in 2018 Readers' Choice Awards survey of Conde Nast Traveler. In line with this, Aegean Airlines 2019 timetable includes a network of 151 destinations, 31 domestic and 120 international in 44 countries. The flights are being performed by one of the youngest fleets in Europe. ​In 2013, Aegean Airlines, acquired Olympic Air. Passengers are now provided with increased flight frequencies and connections, as well as improved accessibility to Greece’s islands, including some of the more remote. Using Athens International Airport "Eleftherios Venizelos" as a main hub, and "Diagoras" Airport in Rhodes as a secondary hub, Olympic Air performs approximately 135 flights per day, travelling to a total of 18 domestic routes (Public Service Obligation Routes) from / to Athens to Astypalea, Zakynthos, Leros, Milos, Naxos, Paros, Syros, Kalymnos, Kythira, Ikaria, Skiathos, Karpathos and from / to Rhodes to Karpathos, Kasos, Sitia, Kos, Kalymnos, Leros, Astypalea and Kastelorizo. Aegean Airlines invest in strengthening their international presence and supporting the Greek tourism both in Athens and regional airports. Kiwi.com is a company that changes the travel industry! They are dedicated to helping people find and book the best low-cost flights all around the world, all within one user-friendly website. With the most extensive database of budget flights accompanied by flights operated by traditional airlines, Kiwi.com presents results using an interactive map, and makes finding and booking flights an intuitive user experience.Kiwi.com has developed special algorithms to create unique flight combinations, which are often up to 90% cheaper than other offers on the market. Due to its success and rapid growth, Kiwi.com has been featured by Business Insider, The New York Times, USA Today, Le Figaro etc. ​For a line of products by Airportag, the best Aviation and Travel Gift Shop, on the Athens Airport check here! Established in 1919, KLM Royal Dutch Airlines is a worldwide airline company based in the Netherlands, and is the world’s oldest airline still operating under its original name. Following the merger with Air France in 2004, KLM has pursued the concept of one group, two airlines and three core activities (passengers, cargo and engineering & maintenance). Connecting a vast network of 92 European cities and 70 intercontinental destinations, KLM offers direct services to key economic centers all over the world. KLM is a partner in the SkyTeam Alliance, which offers passengers even more possibilities, jointly serving 1,063 destinations in 173 countries. KLM's strengths lie in its flexibility to choose a departure airport and its competitive prices with high-quality service. 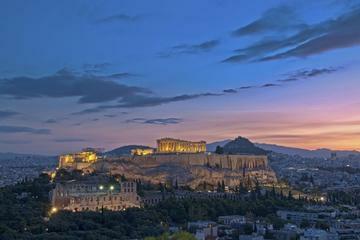 flights to more than 100 destinations, including Athens, and transport over 20 million passengers a year. special promotional campaigns on a regular basis. Searching for the best way to transfer from Athens international airport to Athens city center or city hotels? Book your transfer now and enjoy high standard transfer services in reliable vehicles with experienced, professional chauffeurs.